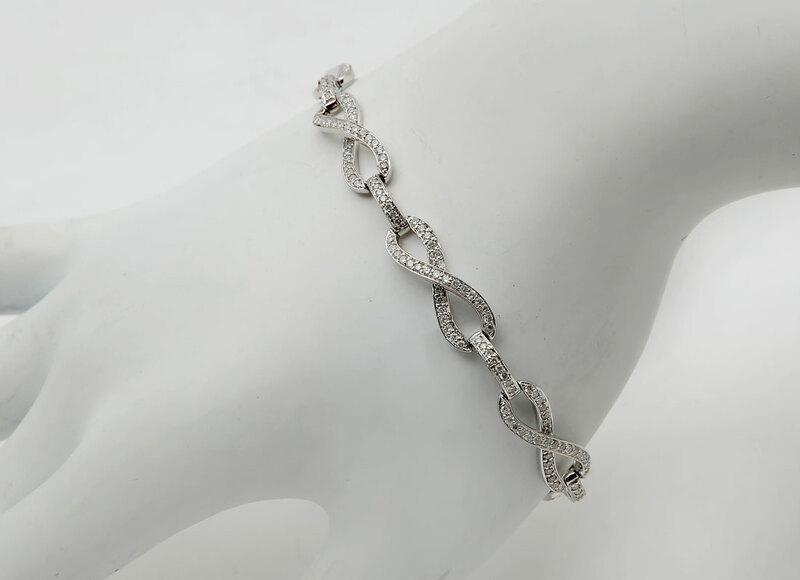 14K 2.67 CTW INFINITY LINK DIAMOND BRACELET: 267 round brilliant cut diamonds are micro pave set into the graceful white gold infinity links. Diamond weight approx 2.67CTW, rated VS-SI in clarity and G-H in color. Total weight 10.0 grams. 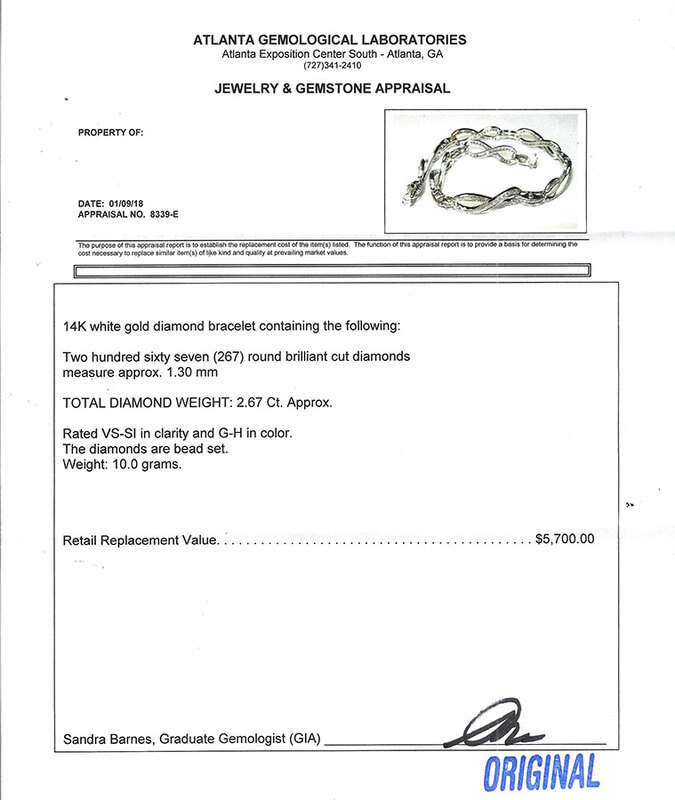 Sold with current Atlanta Gemological GIA graduate's appraisal for $5700.